The heartbeat checks whether passwords in Password Safe match the login data on the relevant systems. This process ensures that the passwords do not differ from one another. The heartbeat is only available for passwords that are linked to a properly functioning Password Reset. Further information can be found in the section Scripts. The testing process using the heartbeat can be executed via various methods. The heartbeat is always carried out before the first resetting process using a Password Reset. After the script has run, the testing process is carried out again. Further information on this process can also be found in the section Rollback. 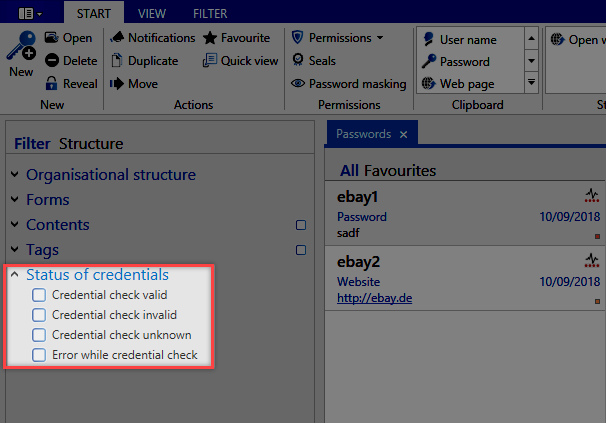 The heartbeat can be executed in the ribbon for the password module by clicking on Check login data. The currently marked password is always tested. It is also possible to configure the heartbeat to run cyclically. It can be configured either via the global settings or directly in the password settings. 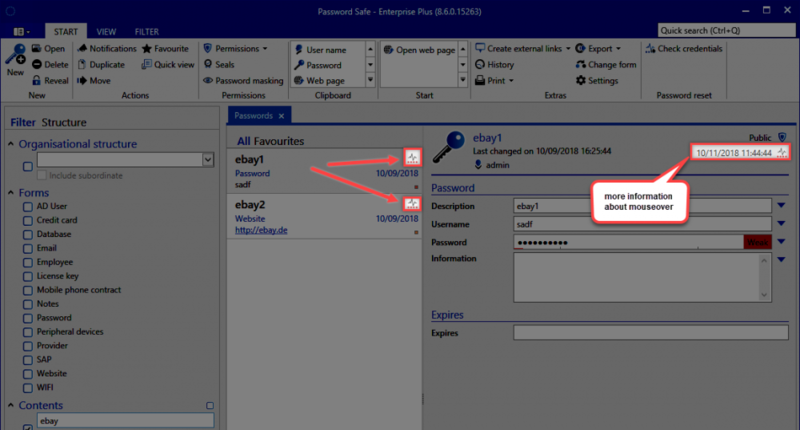 The results of the test can be viewed in the passwords module. The date when it was last executed can be seen at the top of the reading pane. The success of the testing process is indicated alongside using a coloured icon. Further information can be displayed by moving the mouse over the icon. The test could not be performed. For example, the password could not be reached. The last test was completed. However, the password is different to the one on the target system. The filter can be configured using the filter group Status of the login data so that the tested records can be selected.